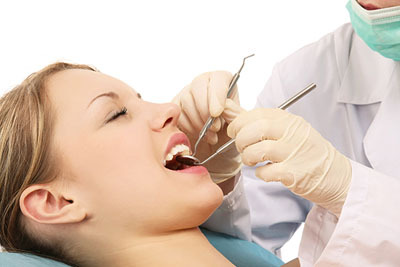 We place dental fillings on a regular basis. If you have not been to Pearl Shine Dental lately, we encourage you to call us at (281) 477-7200 and schedule an appointment for a dental examination and teeth cleaning. Patients need appointments twice a year so that we can remove the plaque and tartar that builds up on and around your teeth. Even if you brush and floss twice a day, you can still end up with plaque buildup, simply because of how difficult it can be to reach all areas of your mouth. A trip to our dental office will allow us to reach these spaces and keep you in good oral health. Very often, we find small cavities while conducting dental exams. By having dental exams twice a year, we can identify the cavities early on and remove them without any significant damage. If we catch tooth decay early enough, we can remove it before you experience any discomfort. This means no toothaches or urgent calls to an emergency dentist. We treat cavities by removing the decayed portion of the tooth. Naturally, this means that a portion of the tooth is missing that we will need to restore with dental fillings. To restore the tooth structure, we clean the area and then apply a tooth-colored resin material to the tooth. We shape the material for an intact tooth and correct fit when one bites down. Once we harden it in place, the tooth will look and behave like a normal tooth. Fillings are the simplest solution for solving this problem. We can place a filling in less than 30 minutes. While silver or amalgam fillings are still an option, we find that tooth-colored ones are typically a better option. Our goal is always to provide restorations that allows one to keep as many natural teeth as possible for a longer period of time. We also make sure that these restorations erase any signs that there was a problem. This is strikingly different from what you get with amalgam fillings (i.e. patients will not have a mouth full of metal). Since our dental fillings are highly functional, durable and look natural, many patients visit us to see if we can replace old fillings. Whether or not the can depends on the size of the filling and what the tooth has done since. Most people do not realize that it is possible for the decay to continue spreading, even after a filling. If it has, a standard filling may not be enough to restore the tooth and replacing it will be unwise. In this case, a dental crown may be a more reasonable option, though we will only know for sure when you visit us for an examination.